Hundreds of thousands of home cooks turn to Miriam Pascal’s overtimecook.com food site. They know that they will find recipes there for food that is wholesome yet elegant, adventurous yet doable - and fun! Thousands of her fans asked for it, and now, finally, here it is: Miriam's stunning collection of recipes for real life cooking- and real people. 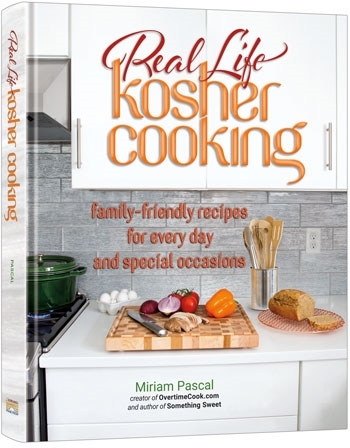 In Real Life Kosher Cooking Miriam shows us that you don't need hard-to-find ingredients or pricey equipment to make interesting food; all you need is a touch of passion, a dash of caring, and a hearty helping of creativity. 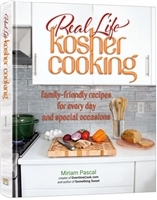 Real Life Kosher Cooking: It's about creating delicious food for the life you live.